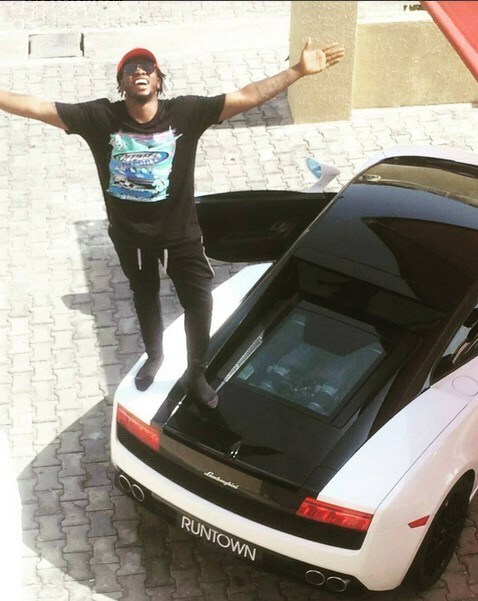 Nigerians have taken to social media to mock, Runtwon after his brand new 2017 Lamborghini Gallardo valued at N150 million he acquired in April was spotted on a tow truck yesterday. 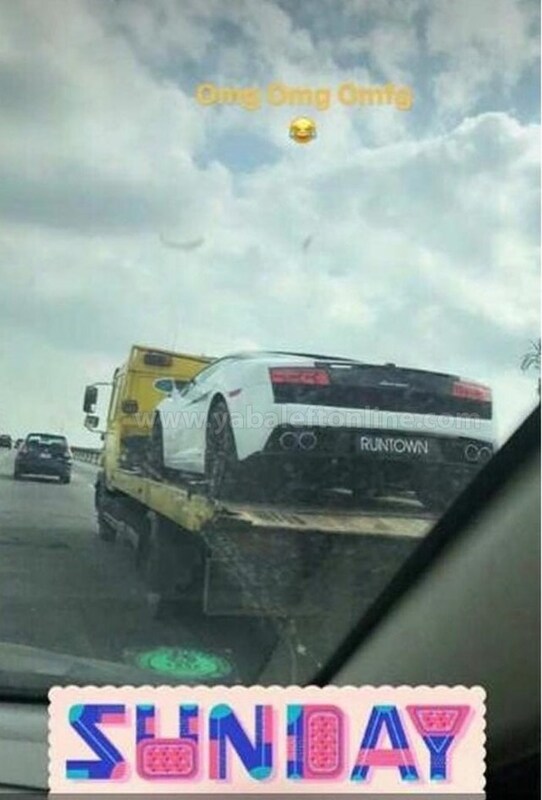 Some are of the opinion the fast car isn't new after all, some said it must have been damaged by the state's bad road, while some said it was been towed to a car dealer to sell it off. Whatever the case might be, we know the car can't move at the moment.